18 :: Visitors and societies are guaranteed to receive a warm welcome both on and off the course at this, one of the premier golf clubs in the north of England, holder of the Yorkshire Order of Merit award. 18th Hole -- One of the best finishing holes to any golf course. 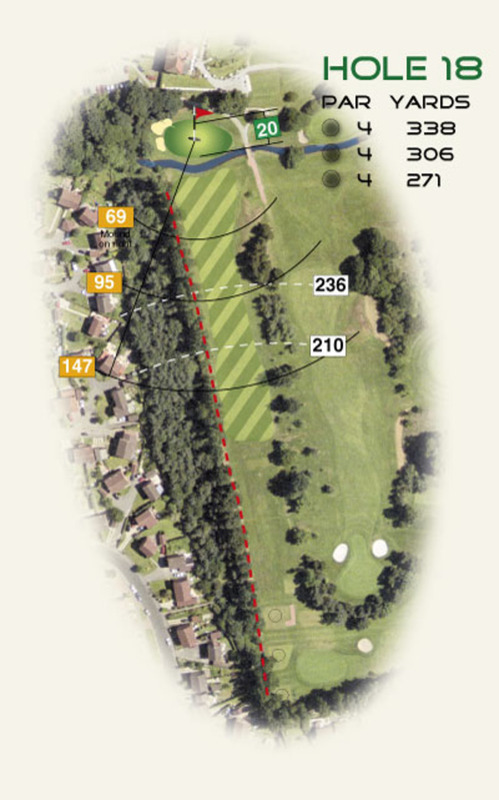 Hit a straight tee shot and avoid the out of bounds on the left. Then make the correct club selection to carry the water but not too far, you may end up in the bank behind the green with no shot.